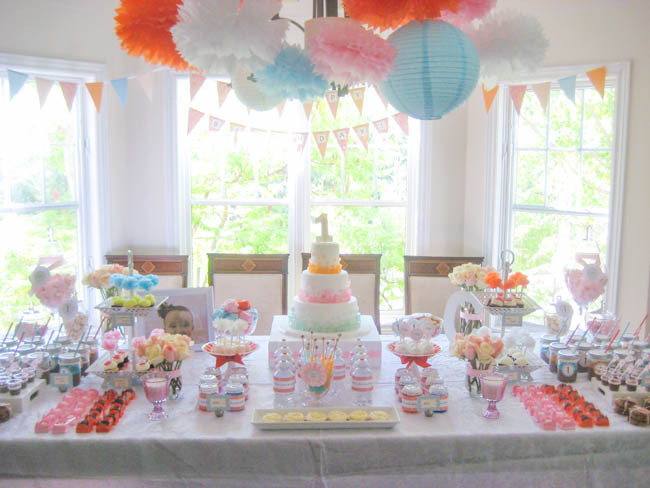 This Simply Sweet Birthday Party was sent to us by Patricia of Sweet Par-t. You may recall that we featured her son’s Halloween party earlier this month. 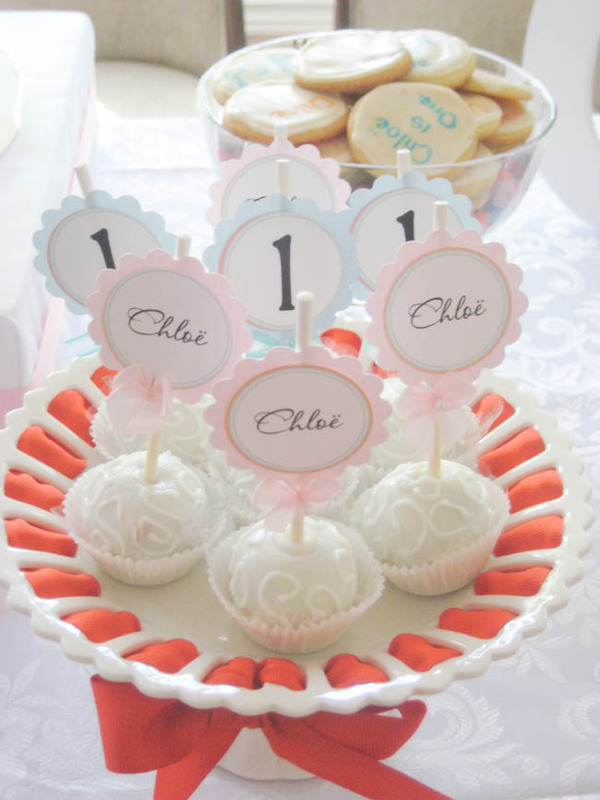 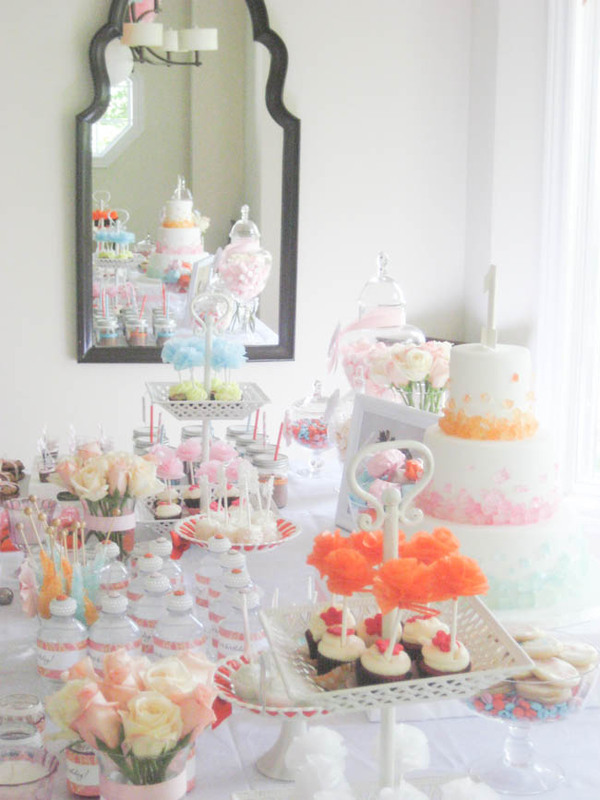 This party was created for her client’s daughter Chloe’s 1st birthday with a request for delicate and feminine decorations – I think she did just that! 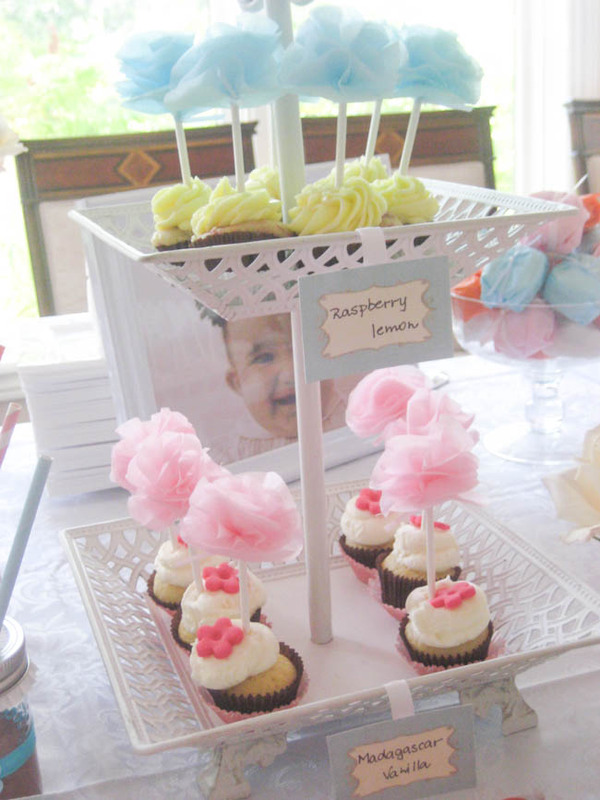 With the beautiful rock candy cake as the centerpiece, Patricia included many other delicious treats which included cupcakes, covered marshmallows, cake pops, chocolate milk in mason jars, personalized M&M’s, cookies, Jello, mini meringues, sugar cookies, rock candy and Brazilian whoopie pies. 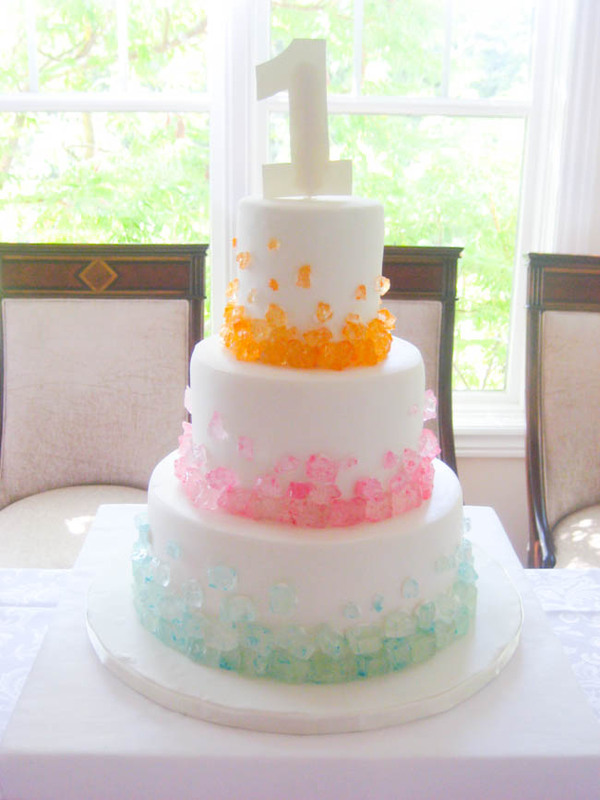 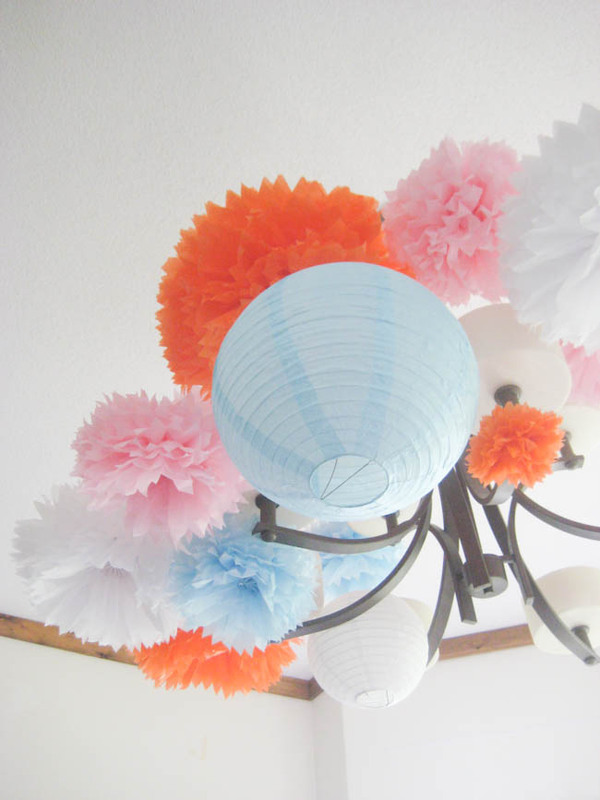 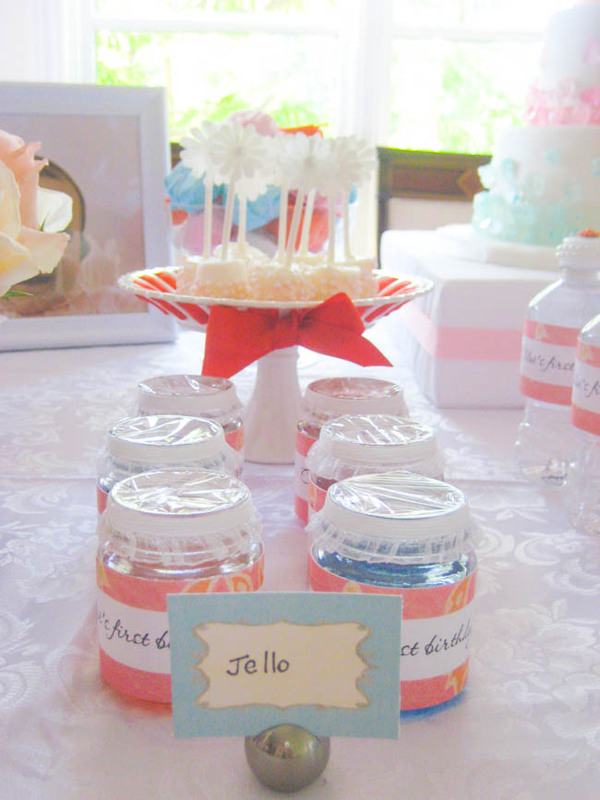 Soft pinks, blues and oranges were used to decorate the chandelier above the dessert table. 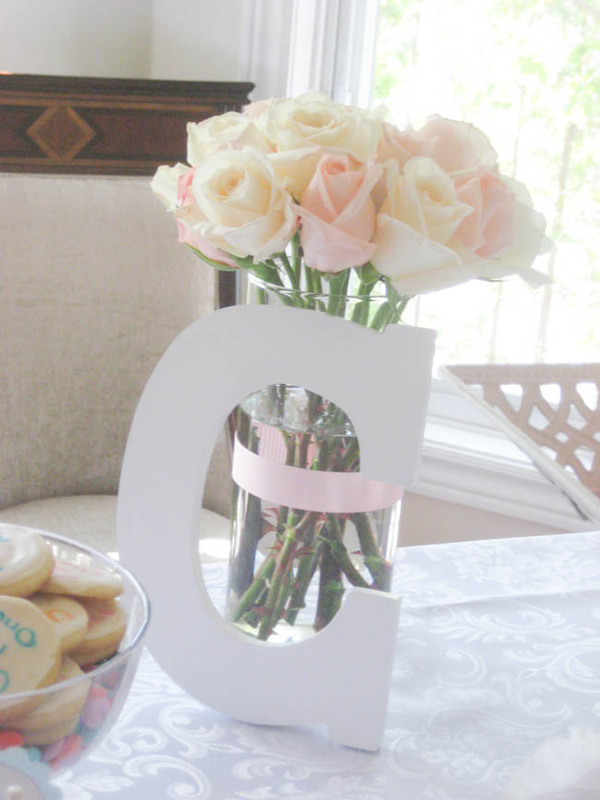 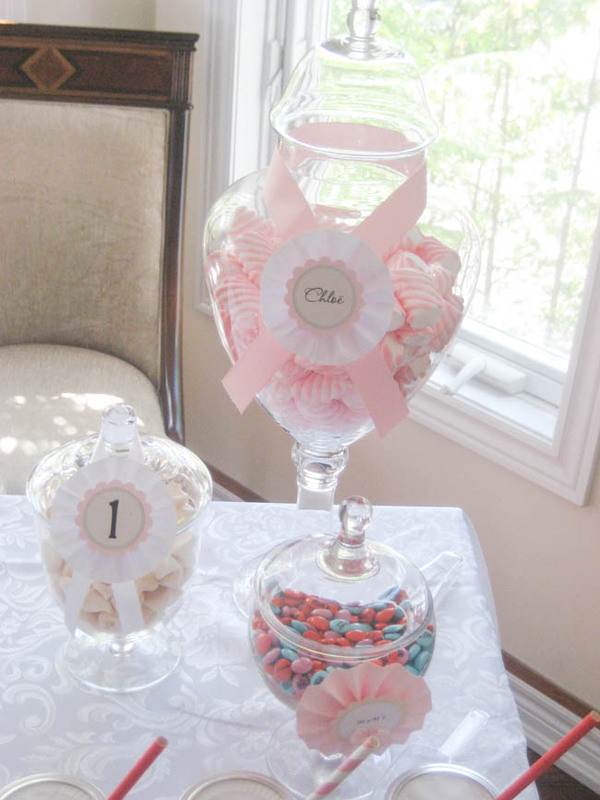 Pink and white roses were used to adorn the party table. 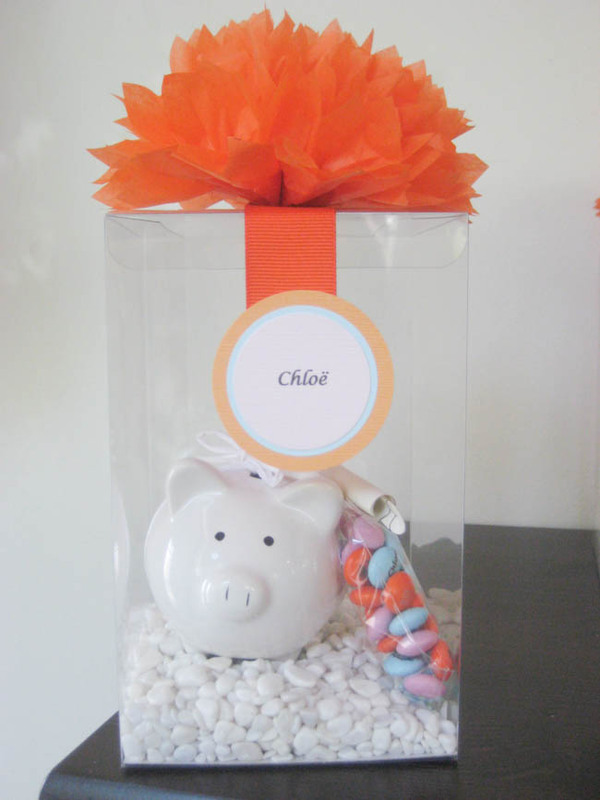 Each guest was given a cute piggy bank and M&M’s in a clear box complete with an orange pom on top. 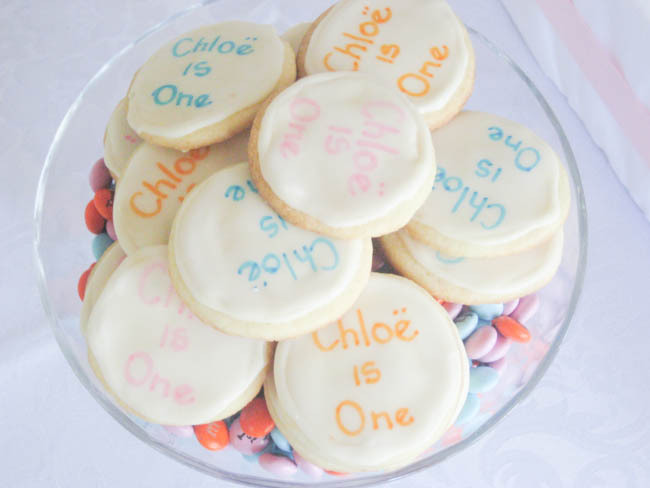 Thanks for sharing your party Patricia – I’m sure Chloe had a wonderful 1st birthday!